This shirt is versatile for any occasion. 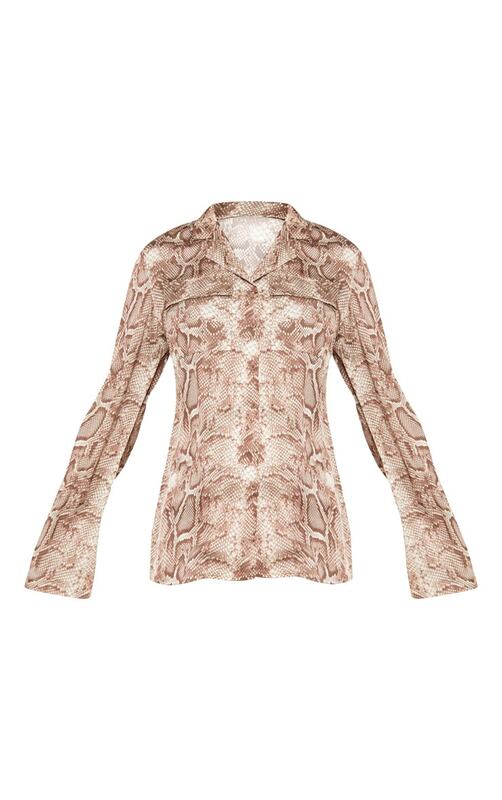 Featuring an all over brown snake satin material, pocket detailing, plunge neckline and a loose fit. Team it with leather pants and clear mules for date night this evening.